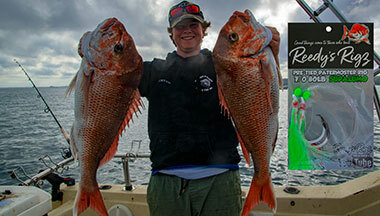 Snapper Season in Queensland runs from April to November every year, right through the Australian winter. Queensland has a historic tradition of fishing,which goes back to hundreds of years. The Snapper is the most popular fish here in Queensland. New anglers like this fish species because it is fast, feisty and somewhat mean looking. Also, the Snapper Is relatively easy to catch. The Snapper, also called as the Pagrus auratus, is a large fish. He weight anything from 8 to 16 kilos. We have had some snappers in Queensland waters that have been weighed at 20 kilos, no less, and 1 meter in length, believe it or not! But generally, the Snapper is about 35 cm in length. In Queensland there is a rule that anyone who fishes for recreational purposes cannot catch more than 4 snappers when they are out fishing. Also, if you catch a Snapper that is over 70 cm in length, you are not allowed to fish any more on that day. That is going to be your last catch of the day. Take a selfie of yourself with your catch, and come home immediately after that. You can easily recognize the Snapper by the bony hump on his head and the fleshy bulge on the stout. He is usually of the colors pinkish silver or red and is also referred to as the Cockney Bream, Reddies and Squire. 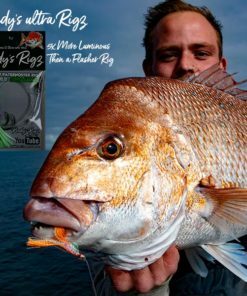 Where to Fish for Snappers in Queensland? The best place to fish for Snapper in Queensland for recreational fishers is Moreton Bay. Most of the large snapper schools from this area move into the Moreton Bay during the Queensland Snapper Season. The waters are quite shallow, which means catching the fish should be easy enough. The Snapper fishes around here weigh between 4 to 8 kilos on an average, but if you get lucky, you could still catch one that weighs 10 kilos or more. How to Catch the Snapper Fish in Queensland? 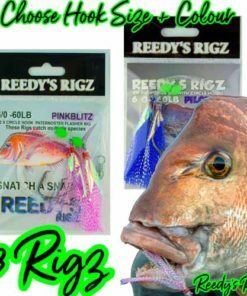 First, you should have the right fishing gear and equipment with you to catch Snapper fish. 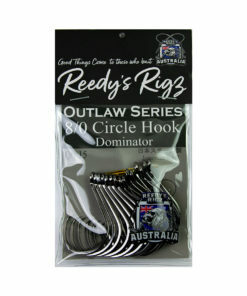 Go to a local tackle shop and buy soft plastic lures made by top brands such as Squidgies, Berkeley and Zman Lures. 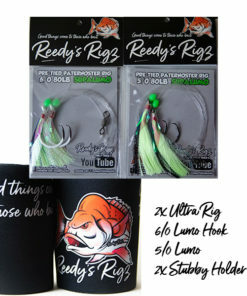 Next, buy the Reedy’s Ultra Rig from Reedy’s Rigz. 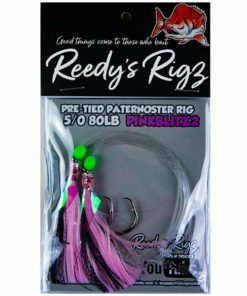 Pre-tied fishing rigs such as the Reedy’s Ultra Rigz are ideally suited to new anglers or those who are completely new to fishing. 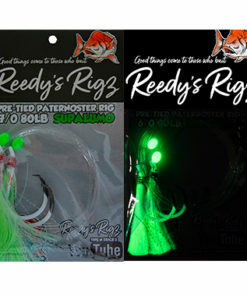 The Ultra Rigz make it easy for mums and dads and the kids who are learning how to fish. 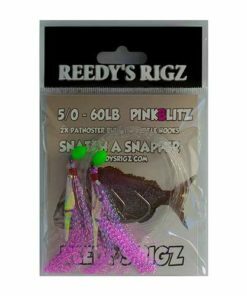 All you need to do is to tie the Ultra Rigz to your mainline and start fishing. 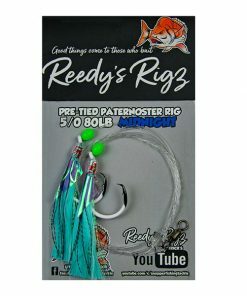 Even experienced anglers and professional fishermen use these pre-tied rigs because of all the time and effort it saves them. 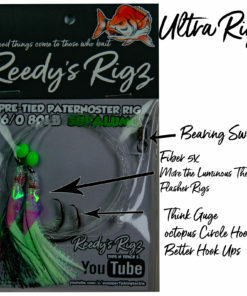 This way, they can focus on the fishing instead of worrying about details such as tying up a rig. 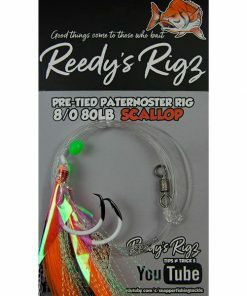 Reedy’s Rigz also make Snapper Rigs and Whitting Rigs which catch pretty much everything. 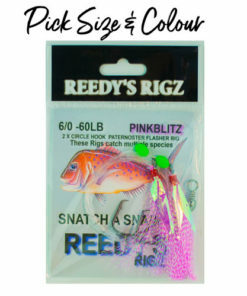 They also make Snapper Lures, Pre-Tied Paternoster Rigs, Jigs, Flasher Rigs, Snapper Snatcher Rigs and more. 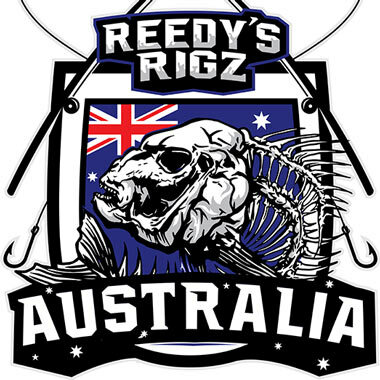 Reedy’s Rigz is an Australian company which sells its specialized fishing gear and equipment only at local tackle shops in Australia. 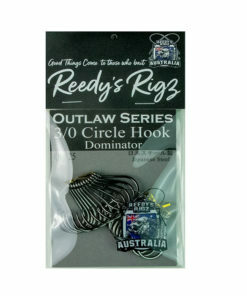 This is to ensure that the money stays in Australia and also to benefit the local fishing community. 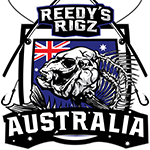 Visit the Reedy’s Rigz Facebook page and subscribe to their YouTube channel for entertainment fishing for Snapper.